The annual International Documentary Film Festival, (or ‘Millenium’) held in Brussels is not only a platform for the international film community to view fantastic entries, but it also serves as an opportunity for emerging talent to showcase their work. 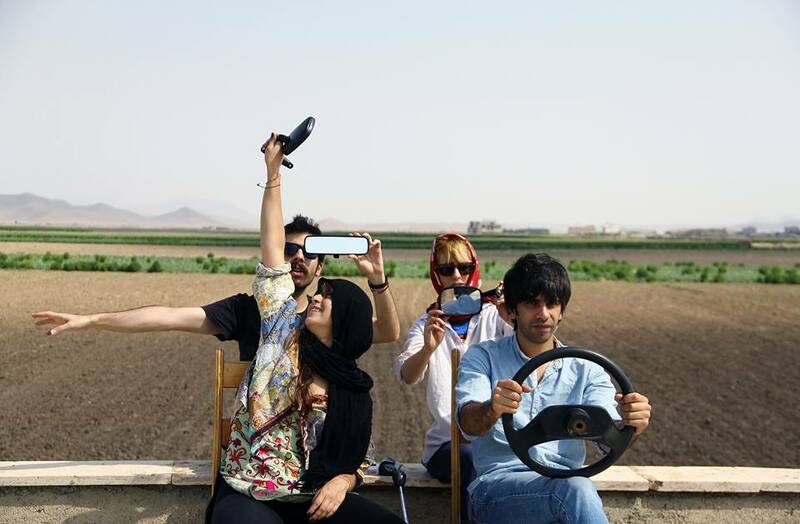 Born in Iran, Brussels-based artist Vida Dena was among the 2016 festival participants with her documentary film Ayan and the White Balloon. 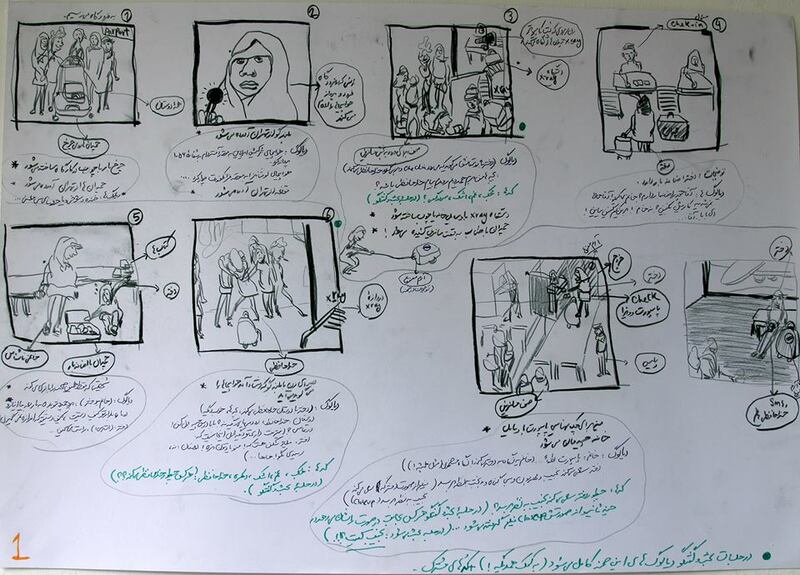 Inspired by themes involving censorship and dual identities, we take a behind-the-scenes look at Dena’s latest film and how this talented multimedia artist explores connecting European and Middle Eastern cultures. The immediate international success of Ayan and the White Balloon at the World Premiere of the 58th International Leipzig Festival For Documentary and Animated Film has somehow overshadowed the rest of Dena’s works (short films, drawings, installations), almost as if the short film is viewed as a fortunate occurrence. Rather, the success of the film is the result of a symbiosis of deep and far reaching historical and cultural roots of the director and her artistic knowledge and intuition. 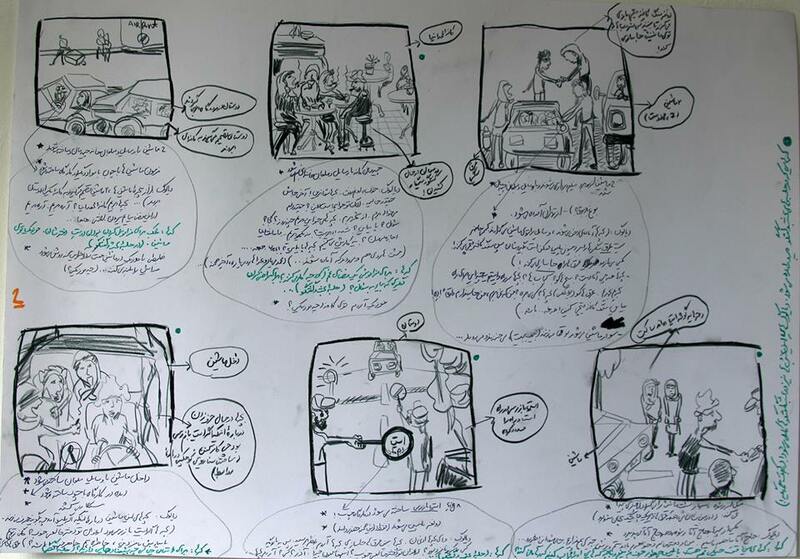 Self‐censorship, double identity and dislocation are the core ideas of Dena’s work. The Brussels-based director has been influenced by art since her childhood. Her mother introduced her to arts at a very young age. ‘If my mom was not an artist, I might not be one! She had a gallery in Iran and I was always in the artistic atmosphere,’ says Vida. Dena pursued her passion for visual arts at the University of Tehran where she received a Bachelor’s degree in Architecture. In the summer of 2009 she left for Sweden to continue her Master in Fine Arts at the Umeå Academy of Fine Arts, to finally obtain a Master’s degree in Audiovisual Art. Continuing her education, Dena then moved to Belgium in order to get another Master’s Degree in Film from KASK School of Arts Ghent in 2015. 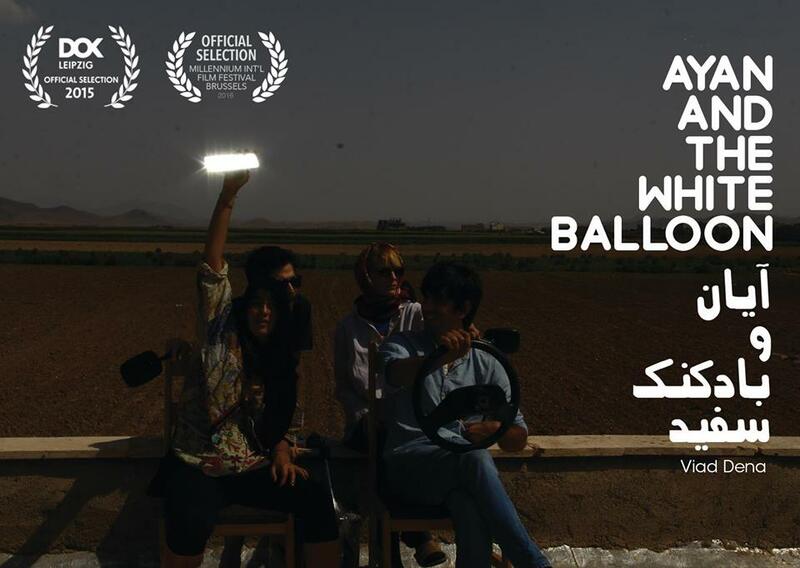 In her film Ayan and the White Balloon, the protagonist named The White Balloon goes back to her home country of Iran after five years of living in Europe to ask her old friends to play in her film. To her surprise, her friends are reluctant to help her, blaming her for going along with European stereotypes. Frustrated by this, the White Balloon gets into a fight with her best friend Ayan. Dena’s next film is about immigration. ‘It is not strange! I think lots of people are obsessed with this subject right now, but my film will be very surrealistic. You will hear about it more soon’, says the director. Answering the question of what would you most like to make that you haven’t made so far, Dena replied that she dreams to make a film about her childhood, her family, to remember the great moments together with the relatives and then to remake those memories into a film.